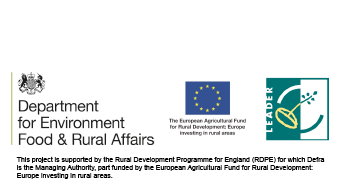 Installed in 2009/10, it is driven solely by the River Bela's flow. 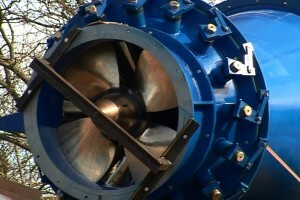 Kaplan turbines are the most widely used of all propeller-type turbines because they are highly efficient, even when the flow of the river is slow. Use of the River Bela to generate electricity is not new at Heron Corn Mill. In fact, early in the 20th century, a small external waterwheel, connected to a generator, powered lighting at the mill right up until 1974. The Kaplan turbine continues this sustainable tradition - although, unlike it's predecessor, it produces more than enough electricity to power the needs of the whole site. Surplus electricity is sold to the paper mill opposite. 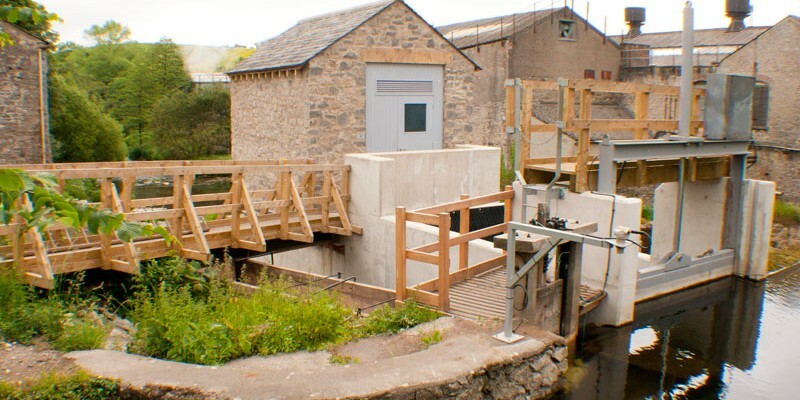 Heron Corn Mill's turbine is one of the first publicity accessible schemes of its kind in Britain. 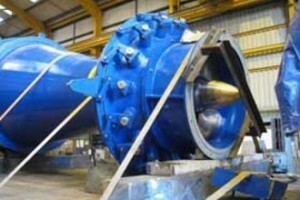 Kaplan Hydro Turbine Installation Time-lapse Video. One webcam frame taken every 10 minutes between June '09 and April'10.